Jail house Rock Colourised. A clip from jail house rock colourised. 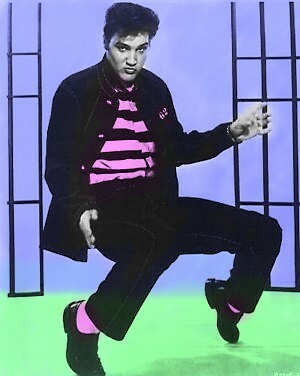 Wallpaper and background images in the elvis presley club tagged: elvis presley performance film jail houes rock colourised. This elvis presley fan art might contain celda de detención. Elvis, Vernon and Gladys Presley in front of their inicial in Audubon Drive, 1956.